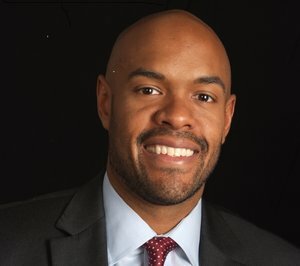 Bradley Hardy is an Assistant Professor of Public Policy at American University, and the 2016-2017 Okun-Model Fellow in Economic Studies at the Brookings Institution. His research focuses on economic insecurity and social policy, including the prevalence and effects of income volatility among American workers. Here, he shares insights from his research on income volatility and race. Q: With the rise in income volatility in the United States, is there any evidence that volatility is worse among African Americans, Latinos, and people of color generally than among white Americans? According to my own and others’ research, the answer is yes. I (Hardy, 2016) find that the level of volatility is higher—incomes are more unstable—among African Americans than whites. Q: Do you see this as primarily a function of the increase in contingent workers and unpredictable scheduling for many workers? We (Ziliak, Hardy, and Bollinger, 2011, and Hardy and Ziliak, 2014) find that labor force entries and exits, particularly job losses, explain quite a bit of income volatility. To the degree that lower-income and minority workers find themselves to be in these contingent employment situations, this is a potential driver. Q: Are African Americans, Latinos, and people of color generally more likely than white people to be in contingent/contract/freelance jobs, involuntary part-time jobs, and jobs with a high degree of scheduling irregularity? In many cases, low-wage workers are more likely to be contingent workers, and low-wage workers are more likely to be members of underrepresented minority groups. Q: Is this primarily a phenomenon affecting lower-income workers who are African Americans, Latinos, and people of color generally? Q: Are there demographic groups among African Americans, Latinos, and people of color that are particularly subject to income volatility? Single mothers? Unmarried women? Immigrants? Younger or older workers? Single-parent, female-headed households, as well as lower-income and less-educated households, exhibit higher levels of income volatility. Q: To what extent is such volatility a function of decreasing labor-force participation? Actual volatility is a reflection of income variation, so in many instances these are adults who are in and out of work. Moreover, survey data estimates show that income volatility appears to rise with unemployment. Q: What could government, employers, and financial-services providers do to reduce income volatility, particularly among African Americans, Latinos, and people of color generally? We find [Hardy and Ziliak (2014) & Hardy (2016)] that social safety-net programs collectively reduce the level of income volatility. These programs include the Supplemental Nutrition Assistance Program (SNAP), Earned Income Tax Credit (EITC), Unemployment Insurance (UI), Temporary Assistance to Needy Families (TANF), Social Security and Disability Insurance, and housing assistance. Certainly these programs could be bolstered to reduce income volatility. I think there’s potentially quite a bit to be done. To the degree that income volatility is associated with low-wage work, education and training programs in TANF and UI could be reformed to provide greater coverage for low-wage workers with less job experience, who, along with part-time, temporary, and contract workers, are often ineligible for both programs. Greater coverage would provide an income buffer as well as training opportunities for more stable employment, and TANF could be improved to be more responsive during economic downturns. TANF was pretty unresponsive during the recent recessions of the 2000s. The EITC is the largest cash program for the working poor in America, but the benefit comes only during tax refund season and therefore does not serve as much of a buffer against income volatility. The IRS discontinued a program called Advance EITC, which allowed tax filers to distribute their refund across an entire year but which didn’t see much participation. Programs such as SNAP could provide greater benefits for childless adults, and the work requirement for these adults could be lowered to 10 hours from 20 hours. Thinking through what, if any, income floor adults have access to in the event of job loss and/or underemployment is important. TANF and government job training programs could work together better to provide job training opportunities for individuals out of work who actively seek work. The ultimate stabilization policy is supporting stable employment.